Ukraine International Airlines (UIA) is celebrating its 25th anniversary with new routes and fleet upgrades on the way for 2018. The airline, which operates out of Kiev-Boryspil Airport, operates 1,100 international and domestic flights per week and will further expand services and implement e-business and digitalisation strategies in 2018. In 2016, UIA Cargo carried 11,127,284 kilogrammes of cargo including food, seafood, flowers, medical products and equipment, animals, machine components, spare parts, clothes and valuables across its network. UIA director of cargo & mail, Peter Kukharchuk says: “Currently, we are significantly expanding our capacities: In 2018, we will add four new B777-200ER aircraft to our fleet, which will operate the route to Israel and replace the B767-300 on routes to the US, China, and Thailand. He says part of the ongoing success has been due to its long standing partnership with its GSSA, ECS Group. Kukharchuk says: “However, our ongoing success is also partly due to our longstanding partnership with ECS Group, one of the largest integrated GSSAs worldwide. 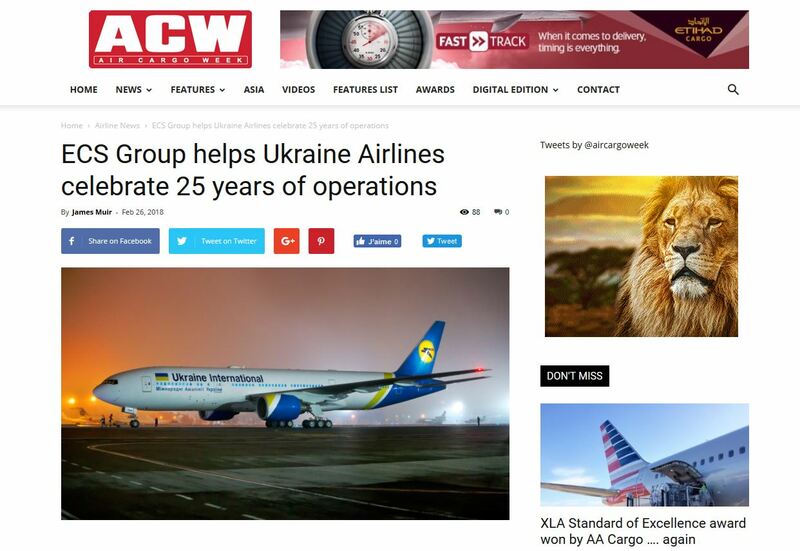 The airline was one of the first Ukrainian joint ventures involving foreign investors, starting operations on 25 November 1992 with flights from Kiev to London, with cargo services starting on 13 November 1994 on routes to London and Amsterdam.